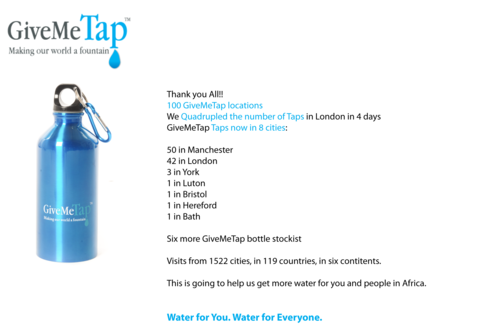 A big tap on the back for the GiveMeTap team who have been working tirelessly to increase water accessibility for its GiveMeTappers across London. We officially have 100 Water Heroes and we’re so happy to have them join the family! A great way to end the week, this definitely calls for a celebration!! Stay tuned for a close insight into the wonderful work these Heroes are doing. Until then, get your bottles out people and visit these cafe’s for your free water!